New Years has the best reputation for being the day that we most embrace a fresh start. But can we only get that motivated once a year? There’s something about the energy that isn’t easily replicated, but I believe that we can create our new fresh start rituals, based on significant dates in our lives and in the flow of the universe. Here are seven opportunities to reset and set new intentions. Mark a your favorites on your calendar, and decide that they’re your new “reset days” where you will evaluate your goals. The first day of the week is a mini fresh start that we get to have every week. We get to start a new to-do list, create new schedules and boundaries, re-evaluate our agenda and gain new habits. Instead of dreading your Mondays, think of it as a gift of resetting that you get every week. Leave the mess of the past week behind you, and step forward with light at the start of the week. How you spend your Monday can totally determine how the rest of the week goes. Set an intention at the first of every month for the best fresh start. What do you want to see happen this month? What energy do you want to put out there? You can make little rituals for the first of the month like planning out your month on your calendar and planner, switching out all your tech backgrounds, making all your appointments and deciding your new focus and goals for the month ahead. Months are long enough to make a significant dent into our goals, so it’s the perfect time to declutter and make changes in your environment. Big goals can take a while to come to fruition, so setting quarterly projects or bigger goals is a great way to break them down. Maybe you set a big focus for each quarter and then at the start of each new quarter, you can work on a new goal or go into the next phase of your goal. Travel gives us inspiration and a newfound energy. When you return from a trip, use it as an opportunity to bring that inspiration into your daily life. You might have new creative ideas or a new perspective, but make note of the change your feeling and use it to start fresh upon your routine. Use unpacking as a symbolic gesture of this new phase of your life. Do you flow with the change of the season? Obviously seasonally changes can be vastly different depending on where you live, but it’s fun to flow by the seasons. In spring, it’s all about change and hustle and blooming. In contrast, winter is more about cozying up, relaxing and plotting. Find alignment with the changes of nature and see how you can make new goals based on what the seasons signify. Plus, it’s always fun to get excited about seasonal activities like pumpkin spice lattes in the fall or longer days at the beach in the summer. Get spiritual with us for a second. In the lunar cycle, new moons signify a new beginning. We’re gifted these fresh starts again and again. There’s an energy that comes from these new moons, and it’s a perfect time to reflect, revive and reset. Journal your little heart out and maybe spend a little time meditating and connecting to mother nature. Super new moon is coming up on July 12, 2018, so get ready for an amplified reset experience. Another year older, another year wiser. Your birthday is a fab excuse for a restart for the obvious reason: you’ve hit a new age. You can always leave 25 behind, and be a better you at 26. It’s a date that is easy to refer back to and reflect on. New age, new me? It’s fun to think about what the year brought you, and get excited about what’s ahead for you at this new time in your life. Ladies, we were gifted our own phases in life from our monthly flow cycle. And it’s likely that you never thought of your flow as a time to restart, but it turns out that we have an optimal time to work on our goals. So when you hit the phase after your menstrual cycle ends, it’s time for a reset. Take the 7-10 days in this phase to be creative, ask yourself about what you want more of in your life and ease into goal setting. Our hormones are so different during our four phases, it just makes sense to goal-set and live by what our bodies are craving. 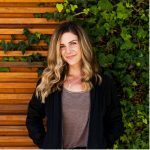 If you’re interested in more about all this, Alissa Vitti is the go-to woman for all things cycle syncing.